navsays – Page 2 – Silent spectator in a rapidly changing world, mostly posting about new media with a mix of random musings. Don’t want your groceries going bad? There is an app for that! In a sea of useless apps (fireplace, lighter, kama sutra positions to name a few), I would say there are few that are useful. Among those, an even smaller subset that are not substitutes of websites DO actually solve an issue that has existed time immemorial. I have come across one such app. How many times do you buy fresh produce only to have it go to bad just because you forgot it was sitting in your fridge? While throwing away all the spoilt food, you are gently muttering to yourself “wish there was an app for that”. Well guess what? THERE IS! Now wait, there almost is which I found out via a guest lecture at my Digital Marketing class. 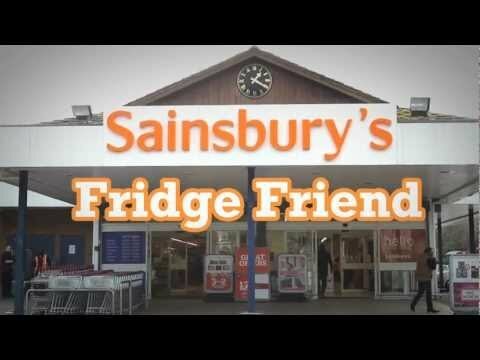 It was recently developed by the UK grocery chain Sainsbury in partnership with Google and they call it the “fridge friend” and only available to Sainsbury customers ofcourse. As the you check out your groceries, the expiry date of each grocery item gets uploaded into the Sainsbury fridge friend app. And as the expiry date draws near, the app will remind you of the items that are about to expire. Now here is the zinger, it will also suggest recipes for the items that are about to go bad! How neat is that! You are more likely to buy fresh food which is healthier for you as opposed to canned goods. Most of us buy canned good because they tend to last longer on the shelf. You get to hone your cooking skills with all the new recipes suggested by this app. To get a glimpse of all features of this app, check out this video. Now I can’t wait till Loblaws gets its hands on this bad boy! 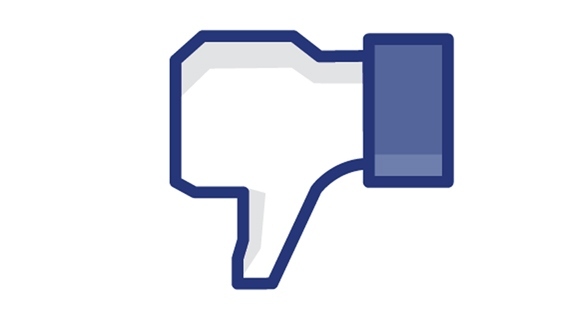 Facebook has just announced that it will be introducing the “buy” button i.e. users now have the option of directly buying an advertised product on their feed without going to a second website. Facebook will be basically facilitating the complete transaction. A similar feature had been introduced on Facebook in 2012 as Facebook currency which didn’t quite take off and hence shelved. Yes we get it, Facebook can’t just be a charity and needs to make money somehow but the general sentiment out there is that people just want a social media without blatantly promoted ads. Personally, Facebook’s sponsored posts are really the least of my worries. The privacy concerns are more off putting. Speaking of privacy, Facebook has been under constant fire regarding its fast and lose policies on protecting Personal information. What makes them think we are just going to hand over our credit card information??? It would be nice if they convinced users about safeguarding their privacy and maybe THEN try to convince them to buy goods off their site. As for advertisers who will be selling stuff to me online , I am really interested to see what will be sold to me. Considering how some of the promoted tweets have nothing to do with me e,g, “Looking for hot single black females” (I am happily taken by a man). Actually this image in their press release is a perfect example of stuff that will be shoved on my face – cute articles that have no relevance in my day to day life (I am betting a vintage ottoman or something will be one of the first articles thrown at my face). Cottonelle – I just can’t…. Brands cleverly incorporating current news events into their Marketing tactics has been one of my all time favourite strategies. The news has to be apolitical, upbeat and possibly catering to a very focussed target market. It does not really have to be strongly associated with the target market of the brand. At the top of my head, I can think of this Molson Canadian ad that aired during the NHL lockout in 2004 (or was it 2006?). Molson Canadian ads usually air with a heavy frequency during the regular NHL season but with a lull in hockey due to the lockout, their challenge was to remain relevant with the hockey-viewing crowd. Clearly they overcame this challenge with this brilliant ad. Although the news wasn’t upbeat per se but it was clearly a first world problem. First, I must commend Cottonelle for actually even considering using a current affairs tactic in their tweet. But mostly it feels like Cottonelle’s social media manager just haphazardly threw this together. I am pretty sure Lebron was unavailable for comment at this point. I must give an honourable shoutout to India’s famous butter brand “Amul”. Their billboards in India have pretty much perfected the art of current event incorporation into a science and they come out with a gem each and every time. I left India at a very wee single digit age but thanks to the internet, access to these billboards is quite easy. Anyone can think of any other clever tactics, please fill up the space below!! Why do I even bother with Facebook? Has LinkedIN jumped the Shark? LinkedIN has largely been viewed as a resourceful social media tool. I personally found it very useful whenever I have had to hunt for jobs or look for professional networks. It also does not face the same kind of criticism that is faced by more popular social media like Facebook or Myspace. However, lately some of the features have started to annoy. The “endorse” feature does not make sense to me. I have been endorsed for skills that I barely have (graphic design) by contacts who I know on a personal level and not professional (an Architect that I used to play rec league soccer with). And just by speaking around, I can tell that no one takes this feature seriously. Now that we all know it doesn’t take much to endorse someone for a skill, it is hard for anyone to take these endorsements seriously. But I would just grin and bear as it was but a minor irritation in the grand scheme of things. That was up until a couple of weeks ago when Barbie (yes Barbie Doll) decided to get her OWN LinkedIN profile. This was launched at the same time as the release of “Entrepreneur Barbie”. At first I wasn’t sure if I heard it right, maybe Mattel had gotten a LinkedIN profile for their company. But of course a big corporation like Mattel would already have one. After a little online browsing, I found out Barbie had her own profile with fictitious job experience (entrepreneur). At which point, I am just plain creeped out. My first thought is, the younger demographic of graduating students who are just entering the workforce will probably not view LinkedIN as a serious resource. It will however become popular among the not so serious if these showcase pages start popping up everywhere. But as I spent more time on Barbie’s LinkedIN page, I realize that it does tie in neatly with the release of the doll itself. However, Mattel’s plummeting doll sales suggest that Barbie is going down and might be dragging LinkedIN along with it. If you are like millions across the world still waiting for closure that you didn’t recieve from Seinfeld’s finale, then this twitter is yours to follow. Whoever is running the account, does a fantastic job of capturing Seinfeld’s essence in 140 characters. Ever wondered what God’s tweets would like? Wonder no more. God has a pretty good sense of humour and often times he will have you question his existence. With its head in the clouds, standing tall by Lake Ontario and staring into a sea of glass condos, the CN tower indeed has a perspective from the vantage point. Every TV reporter worth his salt has to be active on social media, why should Ron Burgundy be left behind? If you love street style blogs, have a healthy (or unhealthy) retail fever, confused every morning about your workplace “business casual” dress code, and happen to be very comfortable with impulse online shopping, then “BLYNK” is for you. Well so far, I have just spent a day on it. Primarily because I downloaded the app on my Android tablet and then left the tablet at my parent’s place over the weekend (son of a…). Loulou Magazine has described it as a the “Tinder” of fashion. The basic premise is that you browse through various images uploaded by magazines and fashion bloggers and like and dislike each look. My favourite part was actually putting crosses or stars on parts of the outfit you like or dislike respectively. 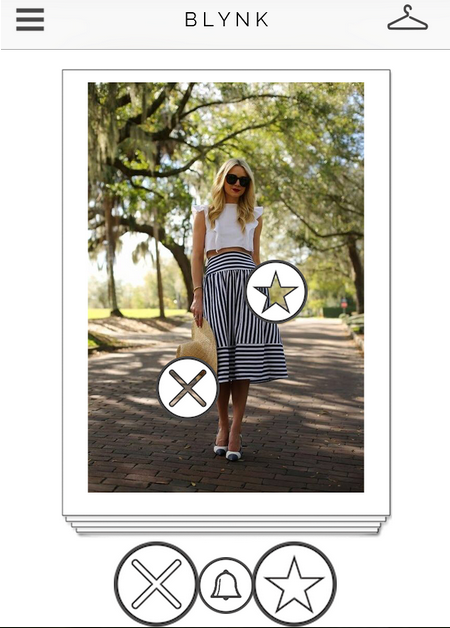 Based on 20 outfit picks by you, BLYNK will create recommendations for an entire outfit. I haven’t tried this but one of the features directly takes you to the site online where you can shop for the outfit. The interface was clean and simple on my Android tablet and personally I really enjoyed browsing through the images. The outfit recommendations were up my ally as well surprisingly. I will have to upload it on my iPhone as it will be a few weeks before I can retrieve my tablet back from the rents 😦 for I cannot wait to try the online shopping feature! And yes, style lovers, there are plenty of Olivia Palermo sightings 🙂 :).